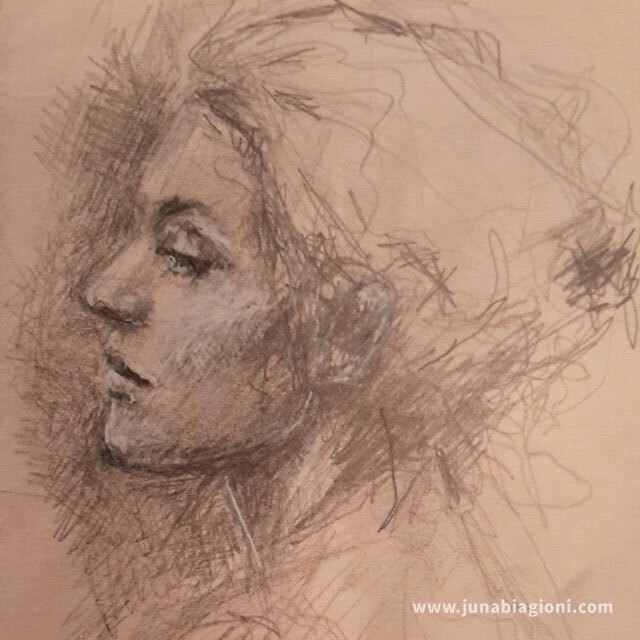 Charcoal portrait, made in 2018. I so much enjoyed drawing this little girl! I love her expression, the way she looks at me. I worked hard trying to capture that expression, and I’m happy with the way she turned out. 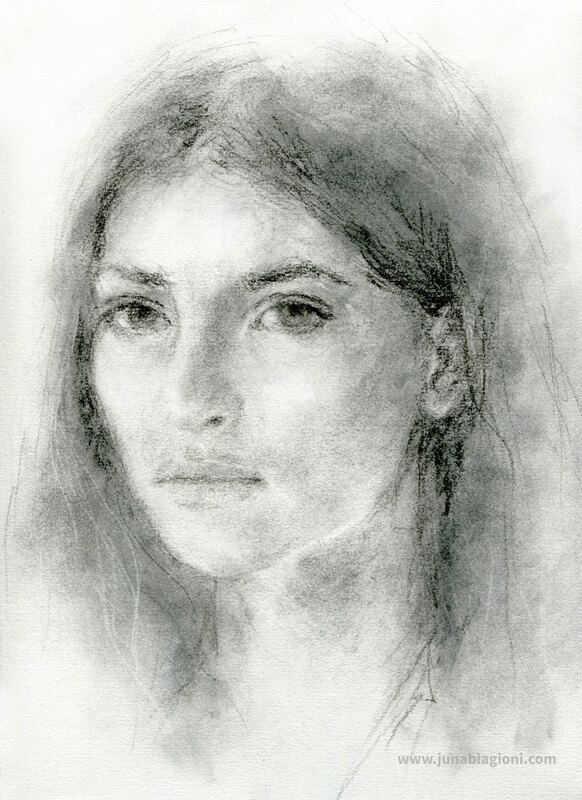 I also loved working in charcoal for this portrait. 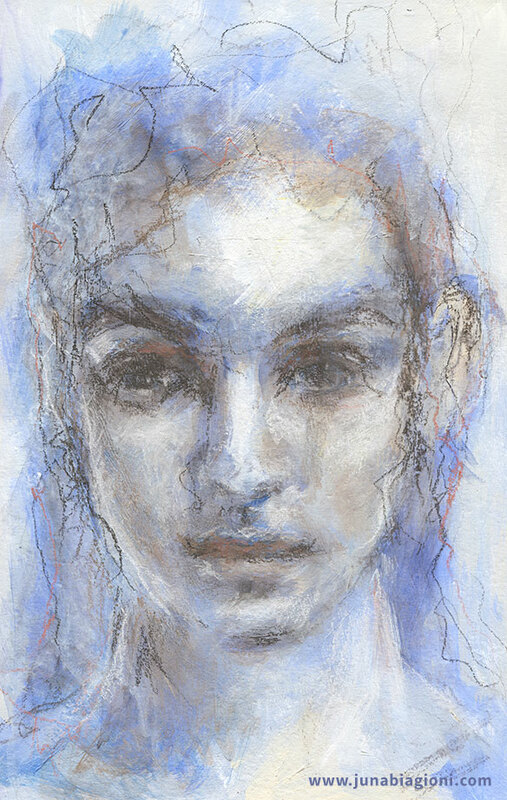 It is such a raw, pure medium and you can create so many types of texture with it. 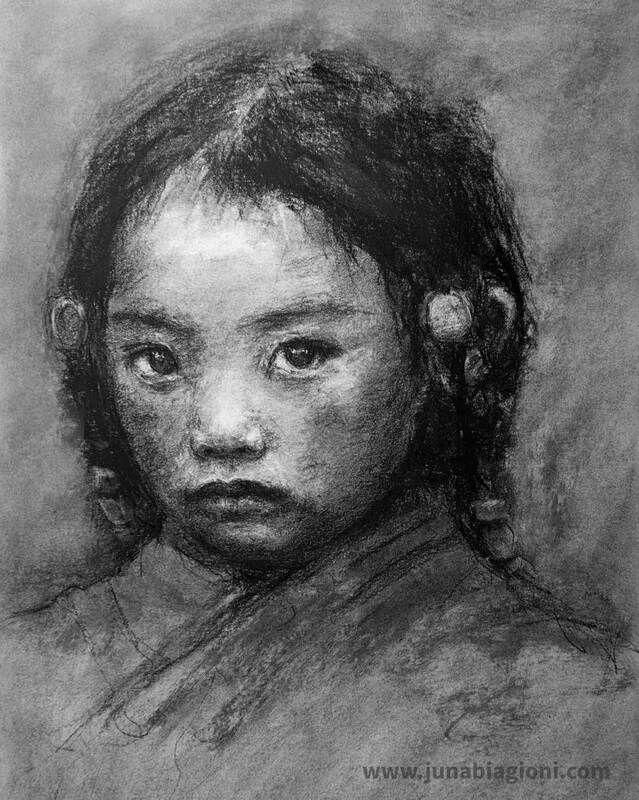 It’s that raw quality of the charcoal that helps making the portrait not too ‘cute’ and ‘sweet’, which fits this little girl really well I think. Charcoal on bristol paper, size A3 (approx. 11.7 x 16.5 inch).